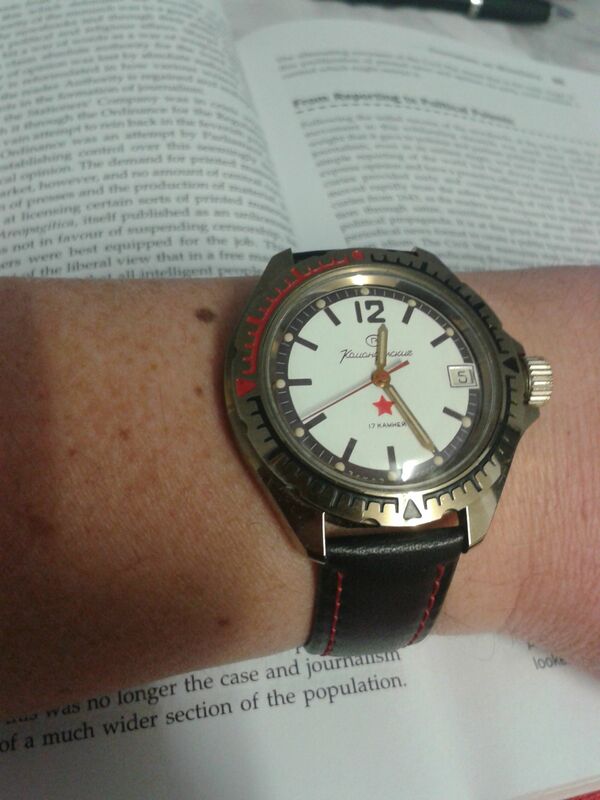 sebastienb, lucky watch, Rygen and 1 others like this. This silicone strap is ridiculously comfortable. pacorolex, lucky watch and Rygen like this. rageandcage, lucky watch, Kisifer and 5 others like this. Cosc accuracy for peanuts...Love my paratrooper! !! rageandcage, lucky watch and OhDark30 like this. Got this yesterday from Amil. 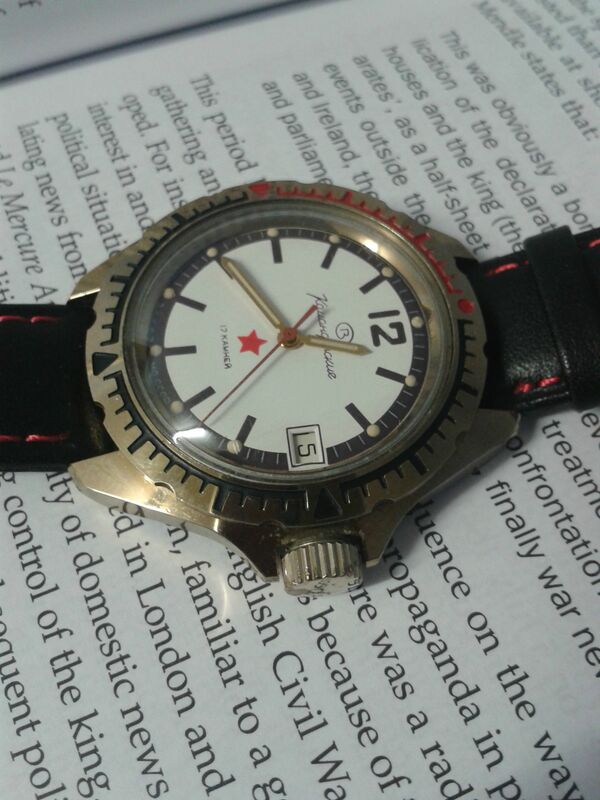 My Cossack officers watch. Cheers to Amil. amil, pacorolex and OhDark30 like this. Last edited by d.b.cooper1; February 14th, 2014 at 16:59. Rygen, rageandcage, lucky watch and 2 others like this. SteamJ, Kisifer, Perdendosi and 3 others like this. I know I've read about the "dechrome" process, but can you tell me in a nutshell how to do it or point me to thread. Have a newer subadude amphibia and think that would look pretty cool. Thanks. Do you mean the bezel? The most common method is just to use a scotch-brite pad. 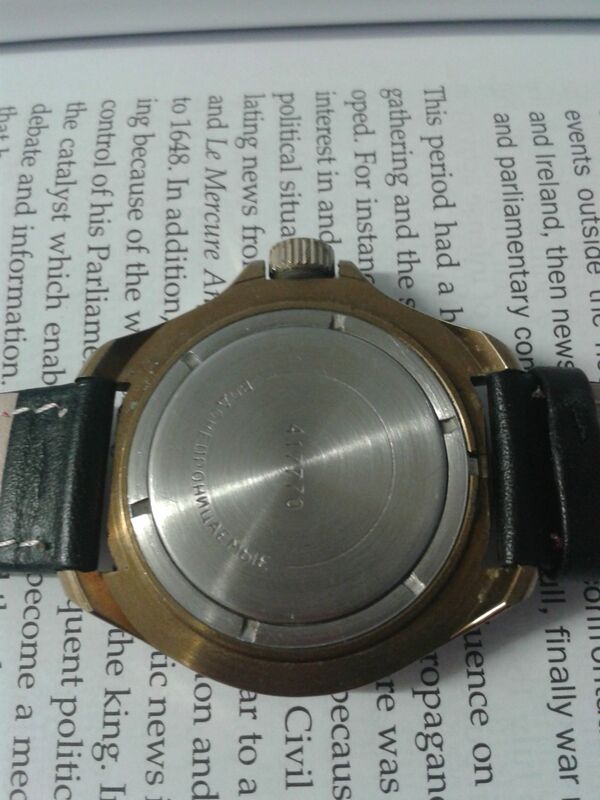 Note that amphibians have stainless steel cases but most come with chrome plated brass bezels that you can remove. 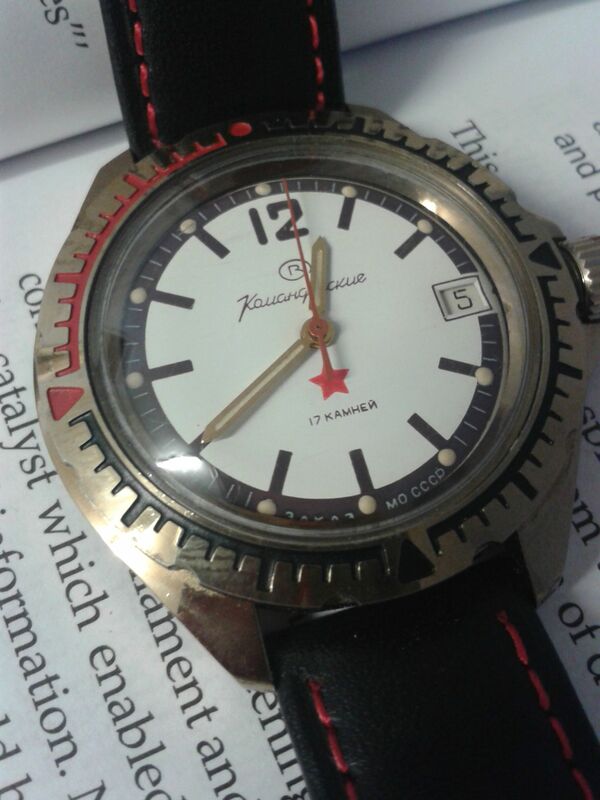 Komandirskies, like the ones discussed in this thread, have plated brass cases as well as bezels. sq100, Kisifer and OhDark30 like this.